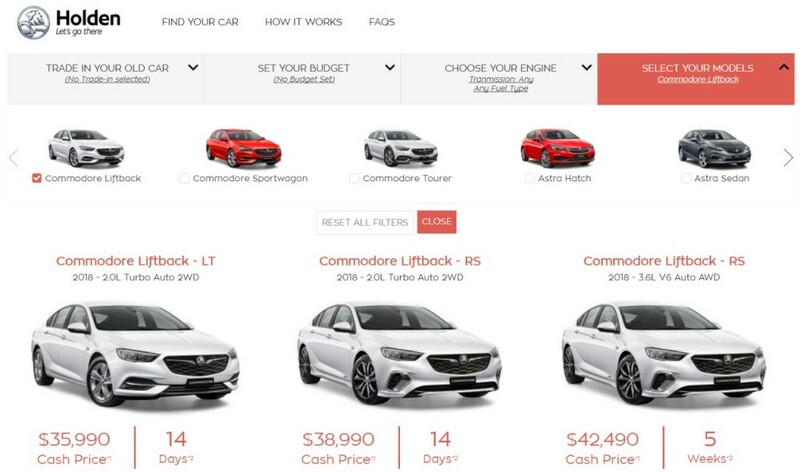 At the 2018 Holden ZB Commodore‘s launch, the GM’s Australian subsidiary brand also announced its new online dealership store that allows consumers to buy a car with a few clicks or taps on their smartphone. Called the “Holden Online Store,” the site handles the vehicle specification and build, vehicle trade-in, online financing and home delivery for the new vehicle. The brand said the new online dealership is about offering consumers choice and it does not seek to replace its traditional dealership network. “Ten years ago, we were tentatively buying clothes online and it was inconceivable to buy big ticket items like TVs through the internet, but as consumer tastes change and confidence in online commerce has grown, so too has Australian consumers desire to purchase at a time and location that is convenient to them. It’s only a matter of time before the digital revolution reaches automotive retailing,” Holden chairman and managing director, Mark Bernhard, said. Holden said research showed 30 percent of Australian consumers would consider purchasing a car online without setting foot in a dealership. Bernhard said its dealer network will remain critical, even if the customer takes advantage of the online dealership. Brick-and-mortar dealers will still need to handle customer service, vehicle service and build relationships with owners. The online dealership will first begin with a pilot program in Melbourne. Most of the brand’s range will be available for purchase, including the 2018 Commodore itself. The program’s expansion will depend on customer reception to the pilot program. Is Holden selling direct? If so, this isn’t an online dealership, it’s an online store.